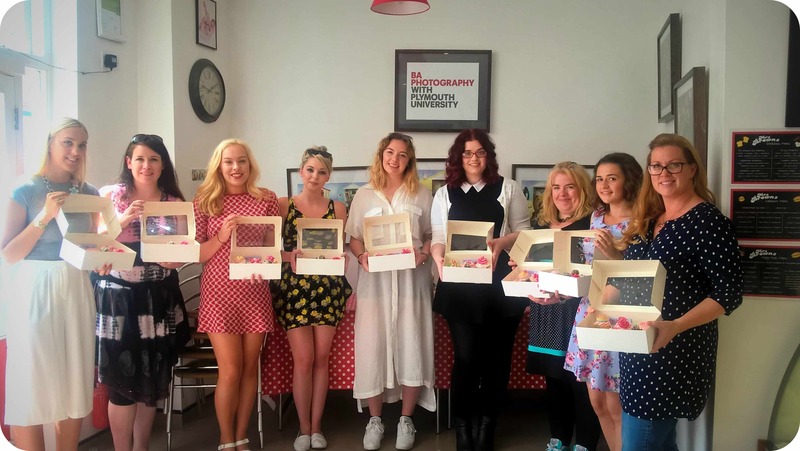 Last weekend I met up with 8 other Plymouth bloggers at Mrs Brown’s, a local bakery and decided to do a vintage cupcake masterclass. 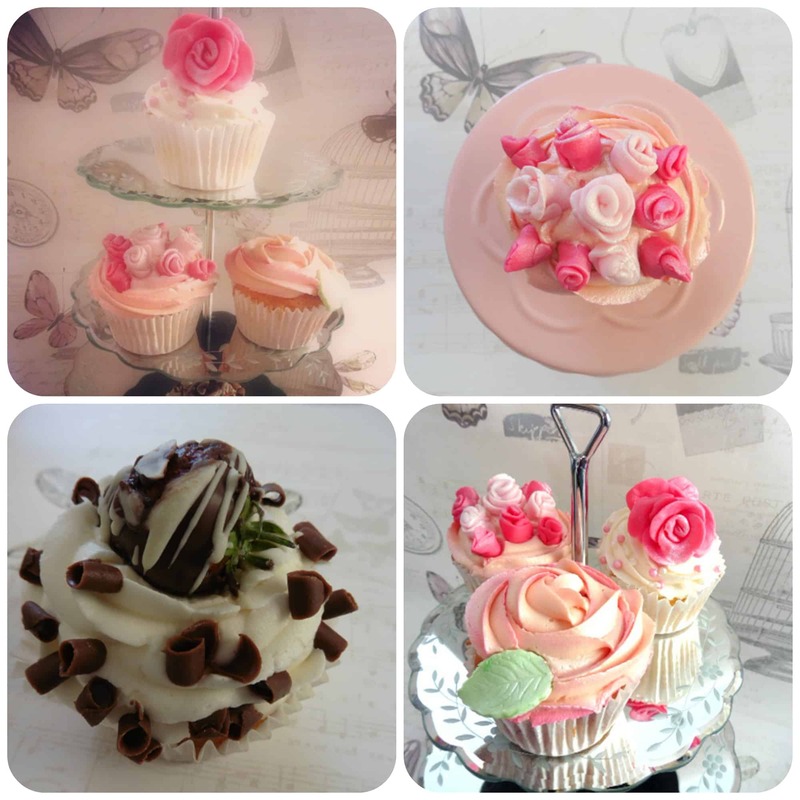 I’ve always loved making cupcakes, although finding less time as the children get older and more demanding of my time. I’m a huge buttercream fan and tend to stick to this as is easy to work with and tastes delicious so it was interesting to work with other types icing and learn how to create different effects. I certainly picked up a few tips that I’ll be putting into practice the next time I bake. Can you believe I decorated all the cakes below with my own fair hands! First off we learnt how to make an edible rose decoration. 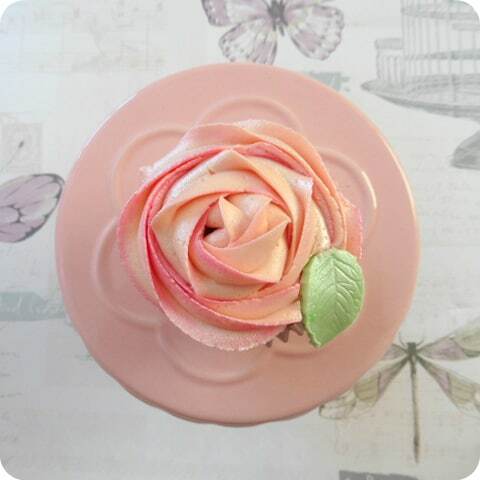 Would you believe that you start with 11 little balls of icing and by using your fingers to flatten and mould they become petals which in turn become a finished rose. Spray on a bit of silver lustre, add a sprinkling of pearlised balls and voila, my cake is done! We then tried some other ideas before stopping for a break and trying a piece of a rather huge Victoria sponge cake, covered in chocolate coated strawberries, that Georgie (owner of Mrs Brown’s) had made for us. We then went back to our decorating class before boxing up our four creations ready to take home. It was a great way to spend a couple of hours and I couldn’t wait to get home and see what the children thought. 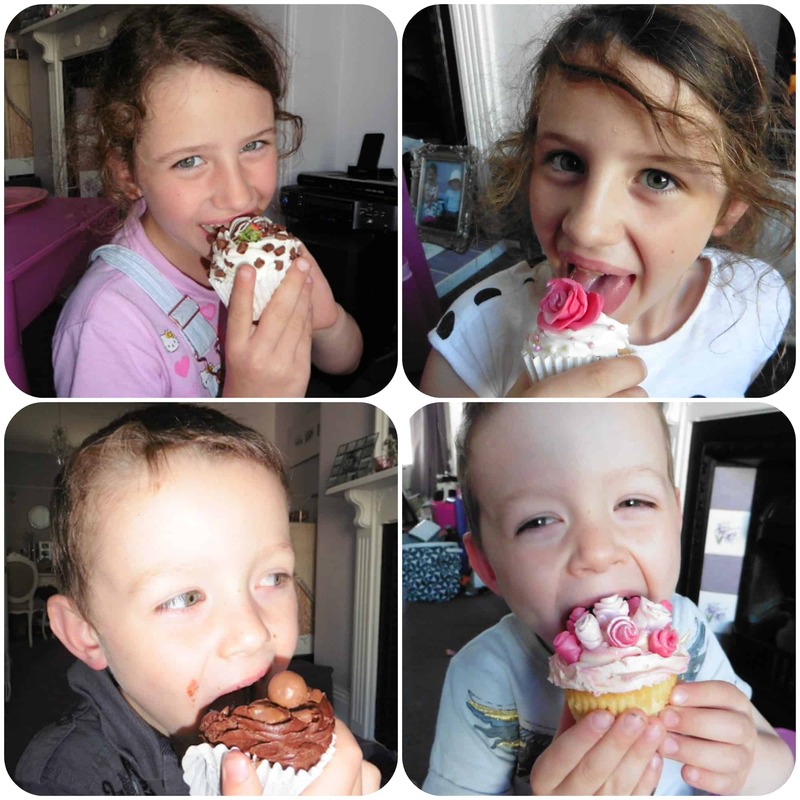 I think the pictures below show you of their approval for mummy’s cakes!! 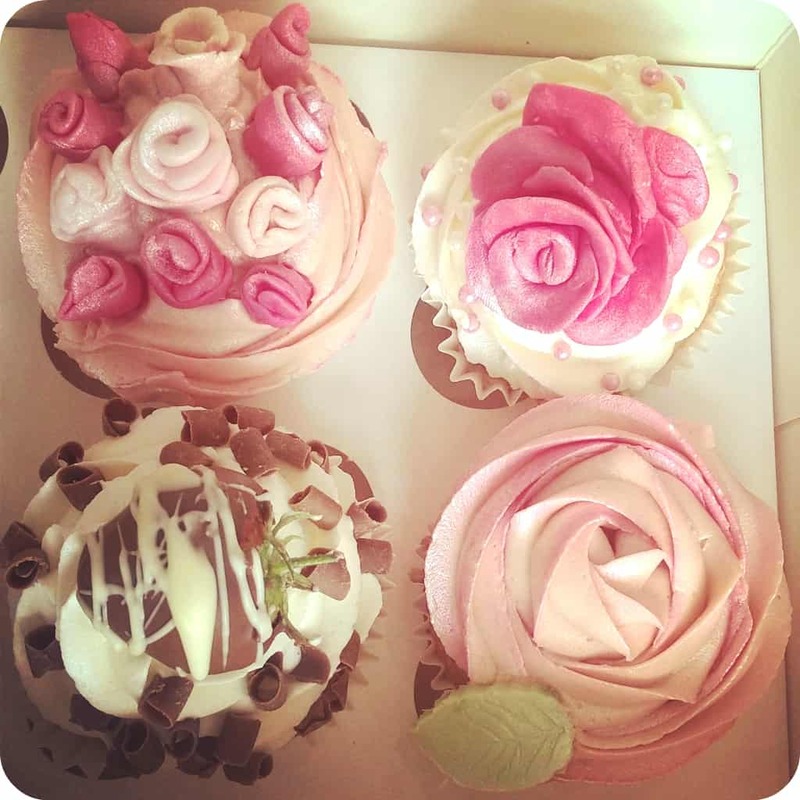 Going to the cupcake class really reignited my love of baking and although I have a hectic few months ahead, I do hope to try out some new things and bake more regularly in the future! 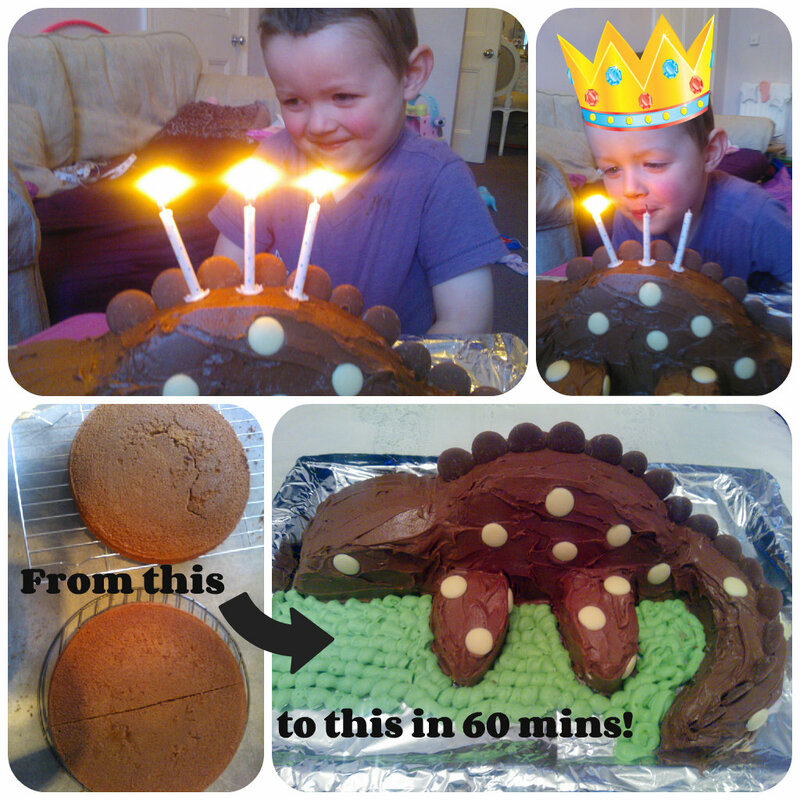 Mister B is 3 and Dinosaur Birthday Cake!! Yesterday was a very special day for my gorgeous little boy Mister B – he turned 3!! We had a fairly normal day with daddy and I working, big sister Miss M at school and Mister B at nursery. As I finish at 1pm on a Wednesday, I picked him up and we went home to enjoy the rest of the day and celebrate!! Unfortunately mummy was a little tired the night before and didn’t get round to making his birthday cake, so once we got home from work/nursery, an eager to help little boy put on his apron and we set about making two chocolate sponge cakes. While they were cooling we picked Miss M up from school then came home to open his cards and presents. While they then played, I dashed into the kitchen to cook tea and assemble the cake – arghh!! I wanted it to be ready for after dinner but time was against me and I didn’t have much of a plan of how to construct my cake. 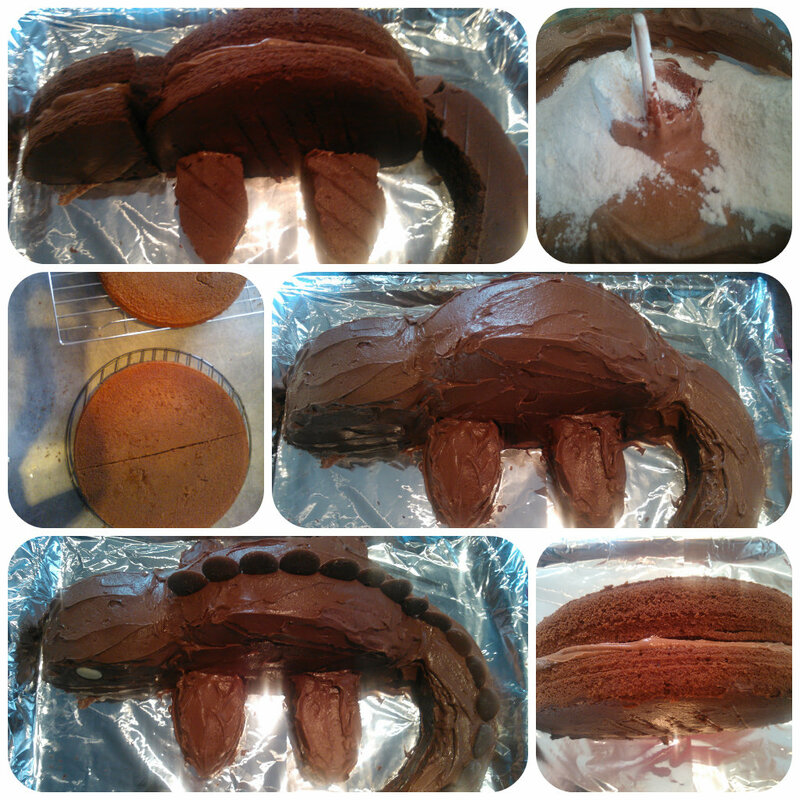 I whizzed up some chocolate buttercream in the food processor, chopped the sponges into random shapes, slapped it all together in the hope it would become a recognisable creature. 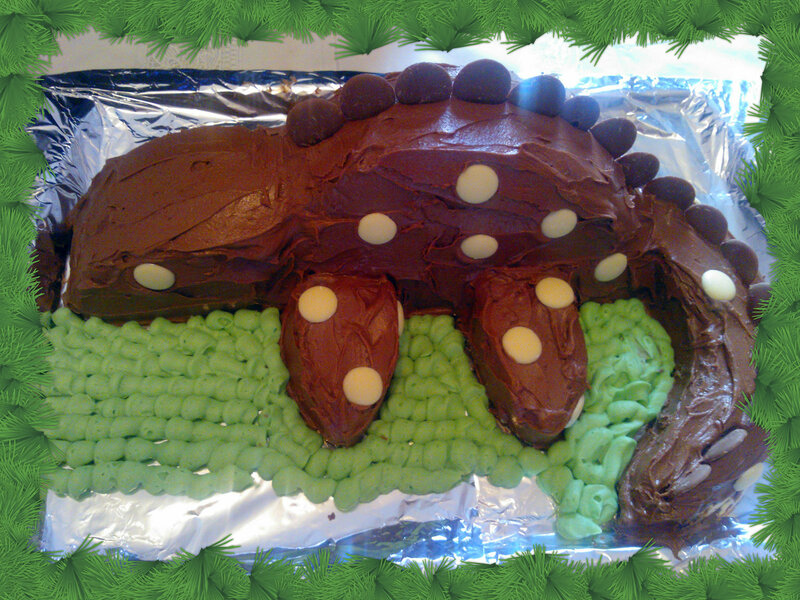 Well Mister B was very happy with the finished result – a dinosaur cake, something he really wanted being a bit dinosaur mad at the moment. A success!! A tired little 3 year old soon went up to bed to sleep off the excitement of the day, although he eagerly awaits for the weekend when his party takes place with all his friends.